Cut off and discard the small tip of each wing. Cut the main wing bone and second wing bone at the joint. Sprinkle the wings with salt and pepper to taste. Heat the oil in a deep-fat fryer or large casserole. cook about 10 minutes, stirring occasionally. When the chicken wings are golden brown and crisp, remove them and drain well. Add the remaining wings and cook about 10 minutes, or until golden brown and crisp. Drain well. Melt the butter in a saucepan and add 2 to 5 tablespoons (to taste) of the hot sauce. Add the vinegar. 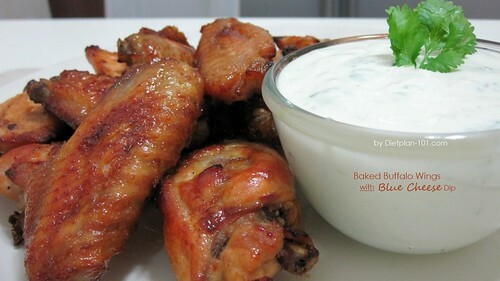 Put the chicken wings on warm serving platter and pour the butter mixture over them . Serve with blue cheese dressing and celery sticks, or bottled taco sauce.